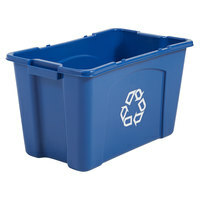 These recycling waste bins are sturdy yet inexpensive, making them great bulk purchases for the workplace or school classrooms. 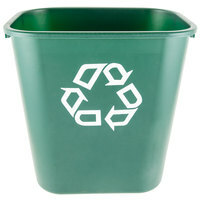 Include one of these waste baskets in every room of your hotel to encourage your guests to make environmentally-conscious choices. 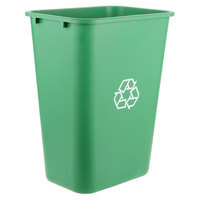 Small in size, these low profile recycle bins don’t take up much space, making them ideal for smaller rooms and offices. 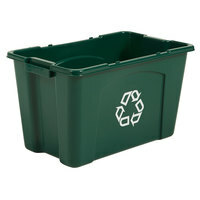 Also make sure to check out other great items from Lavex Janitorial, Continental and Rubbermaid. 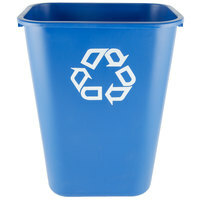 These compact recycle waste baskets fit neatly under desks or table tops so you can add a recycling can just about anywhere. 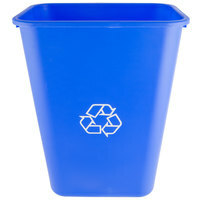 Our selection of high quality recycling bins is sure to have the right option to satisfy your disposal needs. 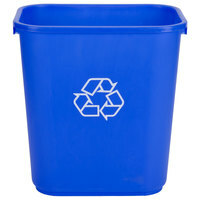 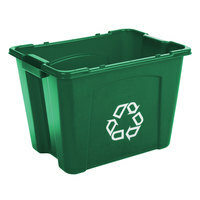 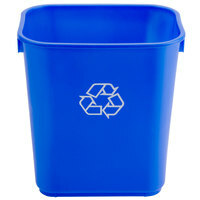 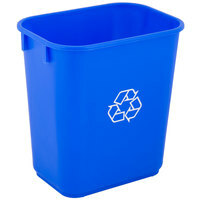 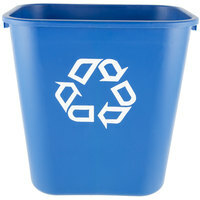 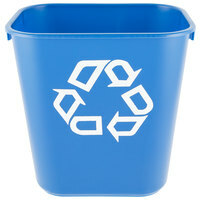 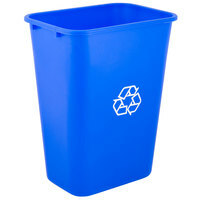 Available in bright blue or green, these bins stand out next to your trash can to make them more obvious to customers. 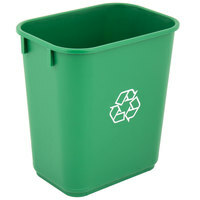 Be sure to view our range of regular trash bins to go alongside your recycling bin at your workplace. 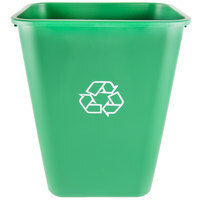 For other space saving trash disposal options, see our wall hugger trash cans and corner trash cans. 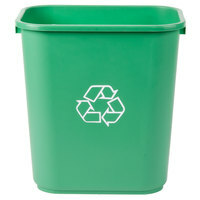 If you're wondering where to buy recycling wastebaskets, we have a large selection of recycling wastebaskets for sale at the lowest prices.